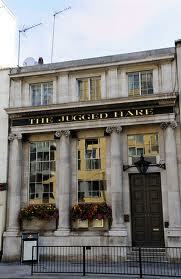 The London Playtest group has a new venue at the Jugged Hare pub, just around the corner from the Morpeth Arms and close to the Pimlico and Victoria tube stations. We will be using the gallery space on the first floor, which has plenty of table space. The pub has been awarded Cask Marque approval and is featured in the Good Food and Good Beer guide. Link to Pub website here. Link to Pub menu here. The first meetup at the new venue will be on Sunday 21st October.